Not sure what kind of board games would be good for a party crowd without bringing out some version of Monopoly where the price of Boardwalk is far less than what you pay in rent? At the same, do you want a game that an older kid can play comfortably with other adults without needing to explain concepts introduced by HBO? Perfect for: People who are giving obscure clues that target multiple keywords and getting others to correctly guess what they are talking about. Similar enough to: That older TV show “Password” but this includes a hidden bomb. Two teams have a clue giver that gives hints about random words on a 5 x 5 grid. The object is for the clue giver to get their teammates to correctly guess their team color’s word, while the teammates dodge guessing any of their opponent’s words and completely avoiding the black card which automatically makes the team lose the game. 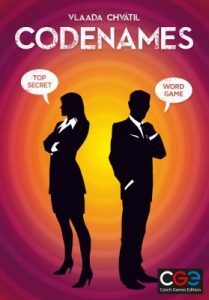 The game Codenames is a popular hit at parties and has already spun off into licensed variations like Marvel and Disney and a version which is all images rather than words but is played the same way. Perfect for: When you don’t have a lot of time or you want a quick pick up game while waiting in line for that Star Wars/Avengers crossover movie to come out. Similar enough to: A game of High Card with fewer cards and each card allows you a certain action. This microgame is based on guessing what card your opponent has in their hand to knock them out of the game or having the highest value card in the game, “The Princess” at the end of the rounds. Each card is both a value card and an ability that allows you to guess hat your opponent has, force a discard, or be immune to being targeted by another player. 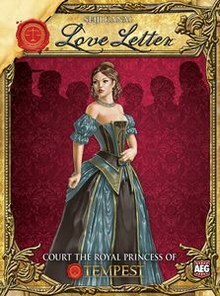 This game is so successful that variants Love Letter spawned variants based on Batman, the animated series Archer, the Hobbit, and Lovecraftian horror. Perfect for: People who like to see how well they understand and misinterpret drawings and words from other people. Similar enough to: The game, Telephone, where you whisper words through a few people to see what strange phrase came out at the other end of it. Everyone starts out with a word from a deck of cards and tries to draw that word for the next player to guess. They flip the page over and the next player guesses the chosen word based off the drawing. Play continues to the next player who draws what that guessed word is and so on until the pad returns to the original owner and everyone reveals how close they came to the original word. 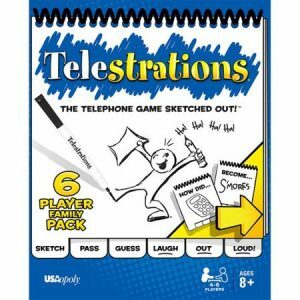 The game Telestrations is among the most laidback of the games that has no competition nor a winner. No one need to be an expert artist to play; sometimes they make for funnier results! Perfect for: Strategists who have to consider that the moves that benefit them may benefit others more. By strategically placing tiles in a center pile, you gain colored lantern cards based on the direction they are facing and any matching connections, but the other players at the table also gain colored lantern cards as well. Victory (or honor) points are based on claiming sets and the values drop for each successive set. Towards the end of the game, positioning and calculation end up determining the winner. 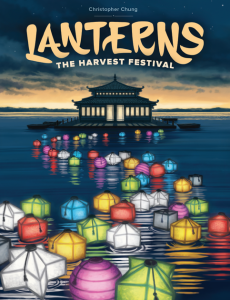 Not only is Lanterns an artistically beautiful game, but the high level of strategy gives this game depth and replayability. This game won the MENSA Select award in 2015. Players: 2 to 5 players. They have an expansion pack that can accommodate up to 10 players. Perfect for: People who like quick card games with risk combined with a strategy that will screw with their opponents to be the last person standing. 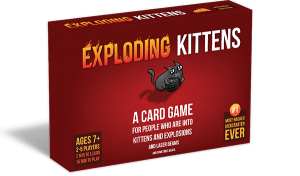 Players draw from the central deck and explode if they draw an exploding kitten card. You can defuse the card and send the exploding kitten back into the deck but are other cards that force others to draw, skip a turn, shuffle the deck or otherwise manipulate the deck so that they don’t draw the exploding kitten. Exploding Kittens is one of the simplest games to pick up and play. 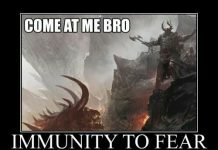 And no kittens are harmed in the making of this game. I think. Similar enough to: A reverse version of “Guess Who” where you give a clue to an image you are submitting rather than asking for visual clues to determine which person your opponent picked. Each turn, a player plays a card with a clue of what their card is, referencing something on the image of their card. In order for that turn’s player to get points, they have to give a clue that will ensure someone will guess correctly, without all of the players knowing the same answer. The other players submit a card to match the same clue, hoping that people will guess their card instead to gain points. The group uses voting chits to determine which card belonged to that turn’s player. 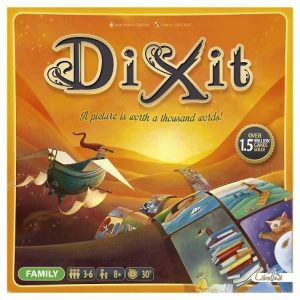 Dixit is a beautiful card set and you can add to it with other expansions of the game, each expansion is a stand-alone game due to the nature of how this game is played. Players: 2 to 4 players. Similar enough to: The classic game, Settlers of Catan, with resource management but less sheep and dice rolling, and more emeralds and diamonds. Players acquire gem tokens to purchase valuable cards, that also serve as permanent gems that allow you to purchase even more valuable cards with victory points. As certain gem tokens are limited and only limited cards are accessible each round, you have to craft your strategy based on available resources. There are conditions for bonuses, represented by nobles who are impressed with your gems by collecting certain sets of cards. After the first person reaches 15 victory points starts, the final round begins where everyone has one last chance to score the most points and win. 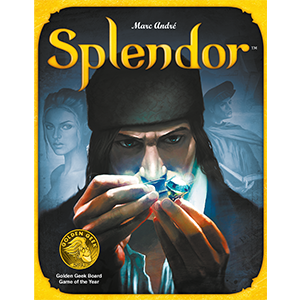 Splendor is an artful game with gorgeous tokens and high replayability. It is not uncommon to pull this game out for a game night and continue to play this same game for three hours. 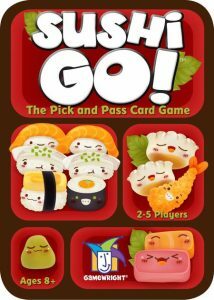 Perfect for: People looking for a quick pass and play game with cute pictures of anthropomorphic sushi on the cards. Similar enough to: The card games Spoons and Hearts because of their card passing mechanics to other players. Everyone at the table starts with a full hand and takes one card out of each hand in order to form sets for points. Once you pick your cards, you pass to the next player with a new set of cards (with one less card available), and you pluck a card from that hand and continue to pass cards until there are none left. 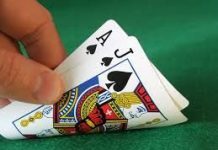 Since there are several ways to gain points; the riskier, difficult to complete sets like the three-card set of sashimi can give you bigger points. But if you only get two or fewer cards, it’s worth nothing! Sushi Go! Is so successful that not only does it have an expansion pack, but it also has a game app for your iPhone or Android which is a good port of the card game. Players: 2 to 6 players. Time to Play: 10 to 15 minutes. Perfect for: Those who like a quick game of lying and assassinating. Similar enough to: Poker but with two cards and knocking your opponent out of the game if you can call their bluffs. 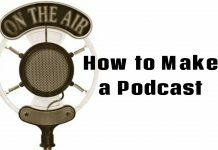 The object is to use your influence to eliminate your opponents from the game and your powers are stemmed from the two cards you are dealt in the game… or at least your powers come from the two cards that everyone THINKS you have in your hand. At any point, if you think someone is bluffing with an action they are not entitled to have, you show your cards and loser loses one of their influencer cards. Lose both cards and you are out of the game. Last person remaining wins. 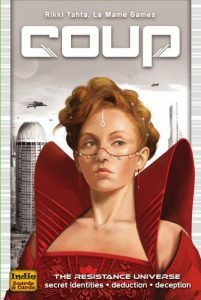 While deception games are not everyone’s cup of tea, Coup is so fast as a game that you only have to live with the guilt for a little while before you decide that you can do better in a second round. While there’s nothing wrong with having a game night with the classic board games, new board games are booming and are some of the most popular Kickstarter projects to be funded. 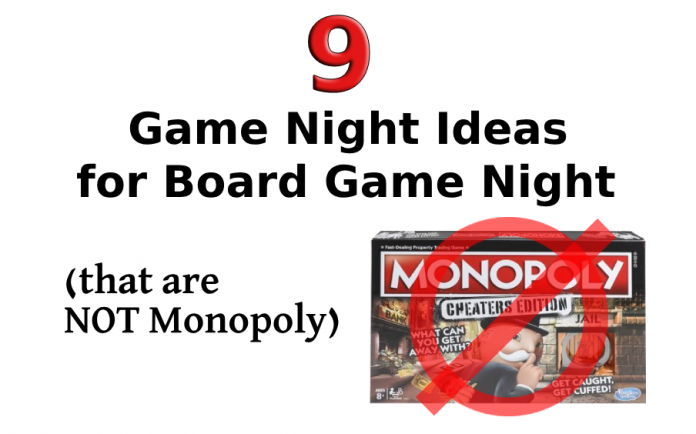 While we can’t cover all of the recent games coming out, what are some of your favorite game night ideas that should be on this list? Comment below so we can see what other games merit everyone’s attention for your next board game night!